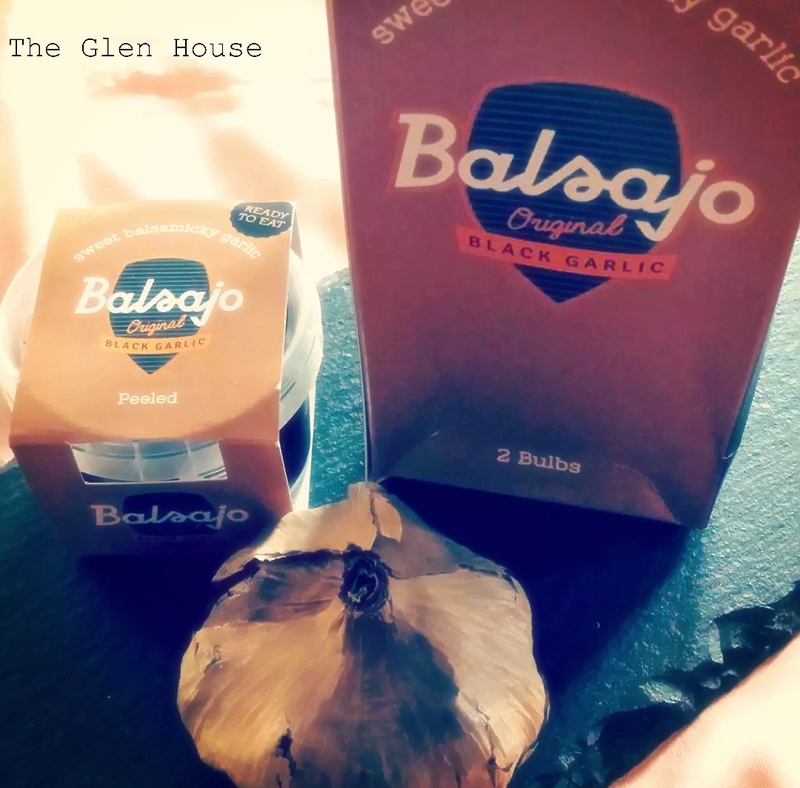 Elaine from Foodbod wrote about how she’d used black garlic in a blog post a few months ago… BLACK garlic? What? So it turns out the black garlic is just normal white garlic that has been aged for ages! And hey presto you have sweet balsamicky garlic. 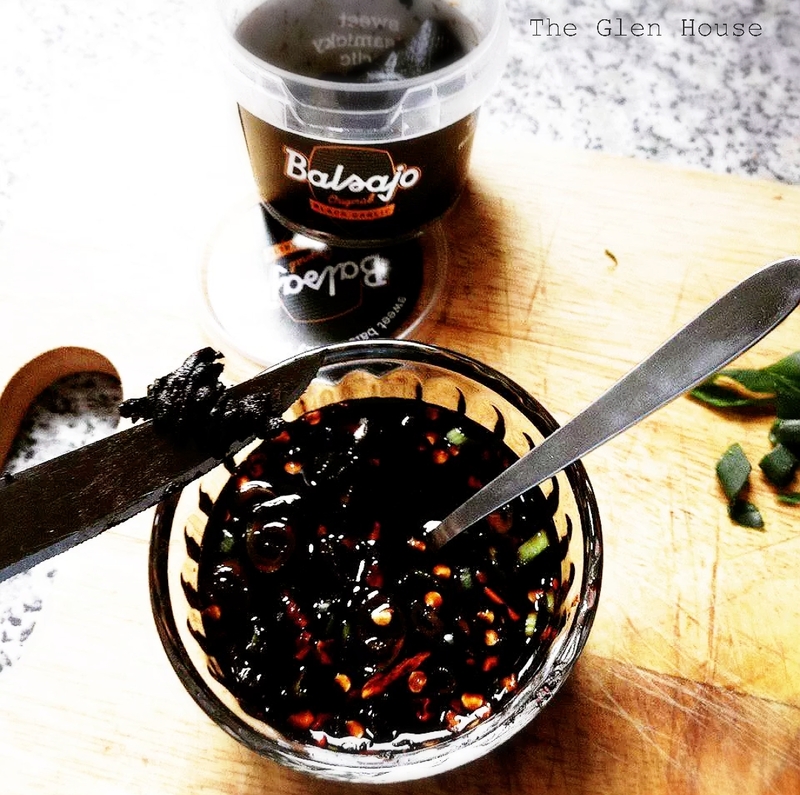 ¼ cup soy sauce 2 tbsp rice wine vinegar (I used apple wine vinegar on this occasion) 1 spring onion, finely chopped 2 cloves black garlic, finely chopped (or minced if you prefer) ½ tsp chili pepper flakes (optional) good dash of honey. Mix the ingredients for the dipping sauce and give it a really good stir to combine the flavours and set aside. 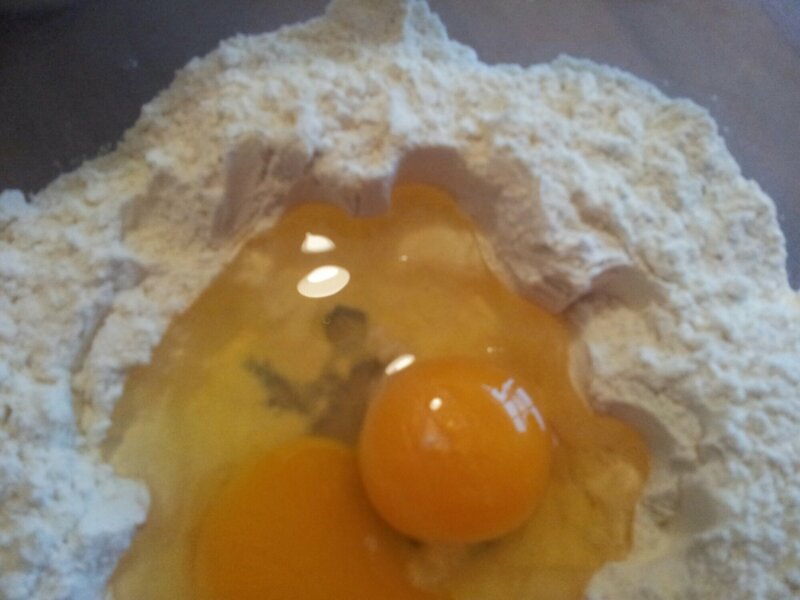 In a large bowl, mix the flour and water together, then beat in the egg. 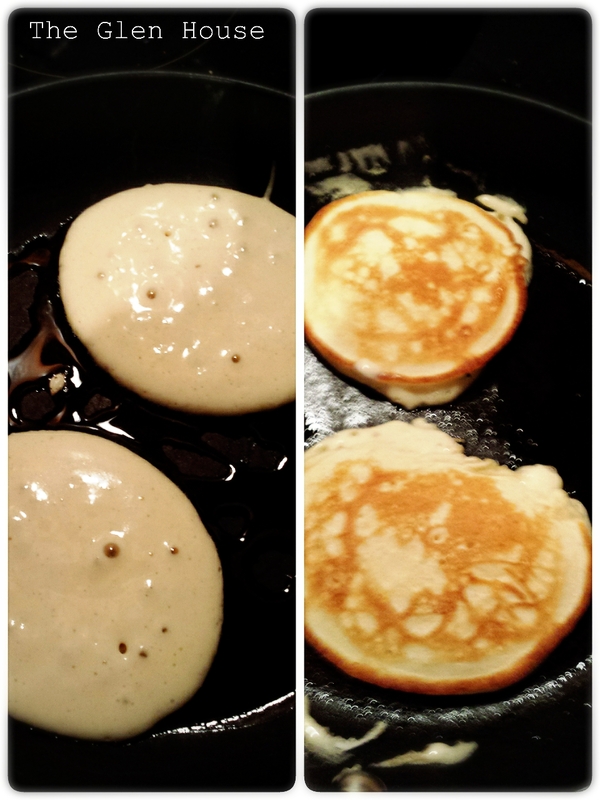 The batter should have the same consistency as pancake batter. Add the black garlic and half of the spring onions and sweet peppers. Heat a frying pan over medium high heat and add a thin layer of rapeseed oil to the bottom. 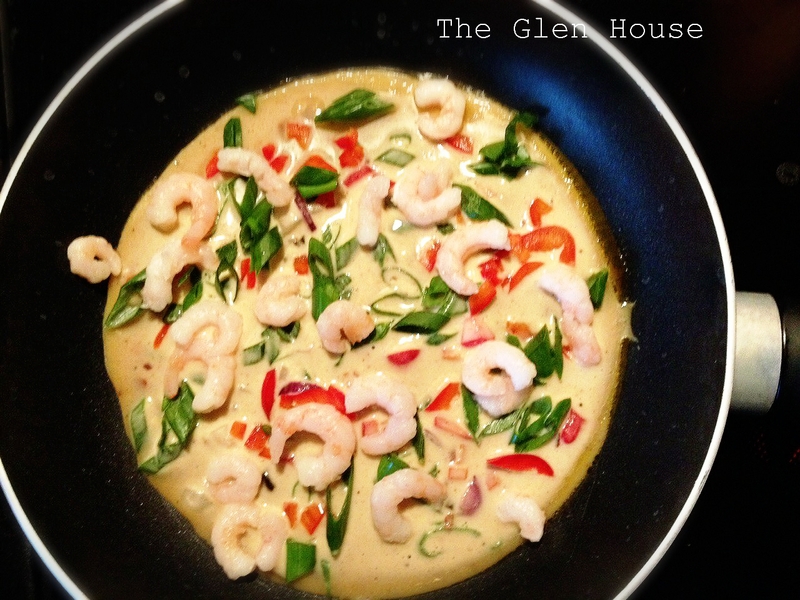 Pour a ladle of batter into the pan in a circle and cover with the seafood, chilli and remaining spring onions and sweet pepper. Cook for 6 minutes or until the top stops bubbling and the bottom is browned. Flip over and cook another 3-4 minutes. Transfer to a serving plate and repeat with the rest of the batter. Cut all pancakes into quaters and get dipping! These are AMAZING and so quick and easy to make. The black sqidgy, sweet garlic gives them an extra edge (the the dipping sauce was great with a omlette the following morning too). 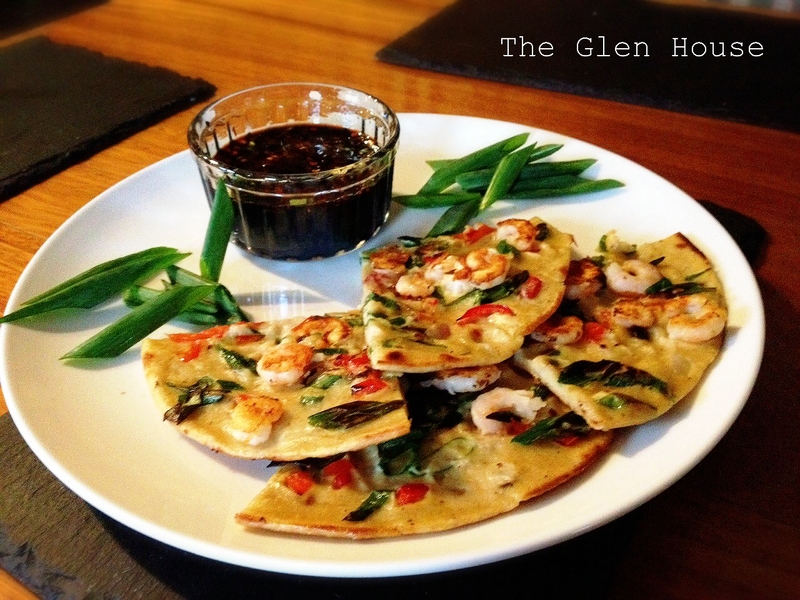 It’s pancake day once again, so I’m sharing our favourite version in The Glen House…. 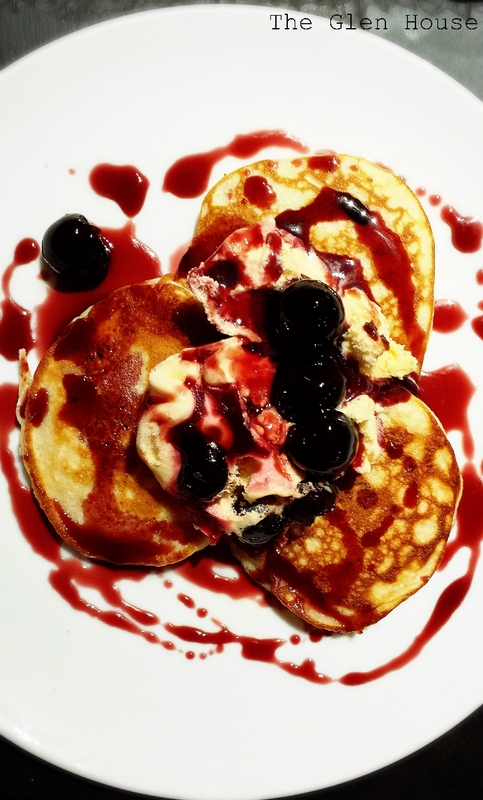 Nigella’s American pancakes! There’s no need to mess with this recipe, it’s perfect as it is…. I find it really easy to mix up the batter by hand in a bowl; make a well in the flour, baking powder, salt and sugar, beat in the eggs, melted butter and milk, and transfer to a jug. DO PUT IT IN A JUG, it’s much easier to pour the batter into the pan than to spoon it. Heat a pan on the stove and add in oil or butter. When you cook the pancakes, all you need to remember is that when the upper side of the pancake is blistering and bubbling it’s time to cook the second side, and this needs only about 1 minute, if that. I get about 16 small pancakes out of this. 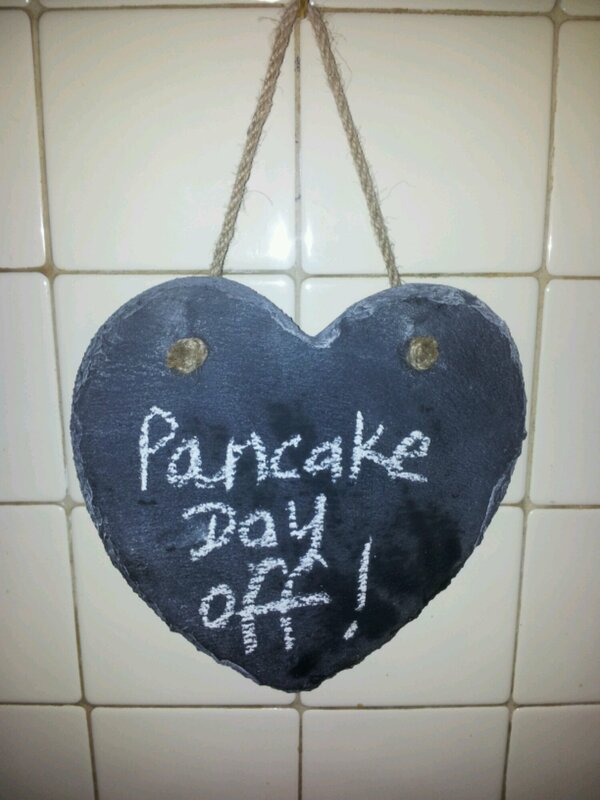 Remember to use sheets of grease proof paper to seperate the pancakes while you keep them warm! 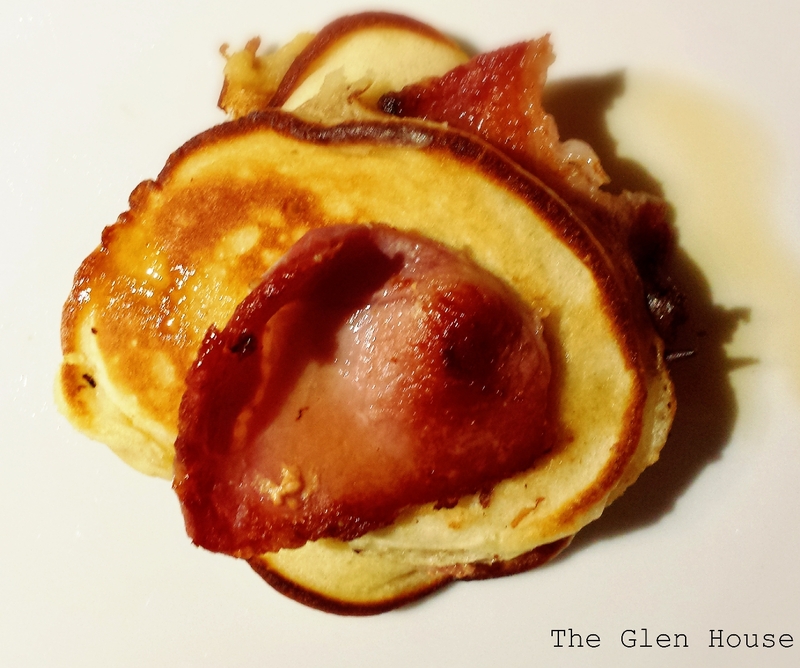 First up, I served the American pancakes with bacon and maple syrup. It makes a great brunch dish! 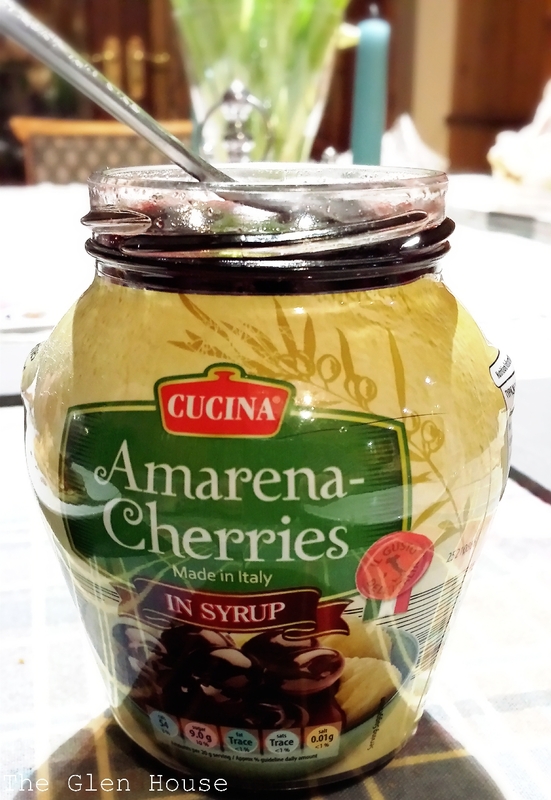 To sweeten up the pancakes I used these amazing cherries from Aldi with a couple of spoons of cherry icecream. Really quick, really lazy and really delicious! 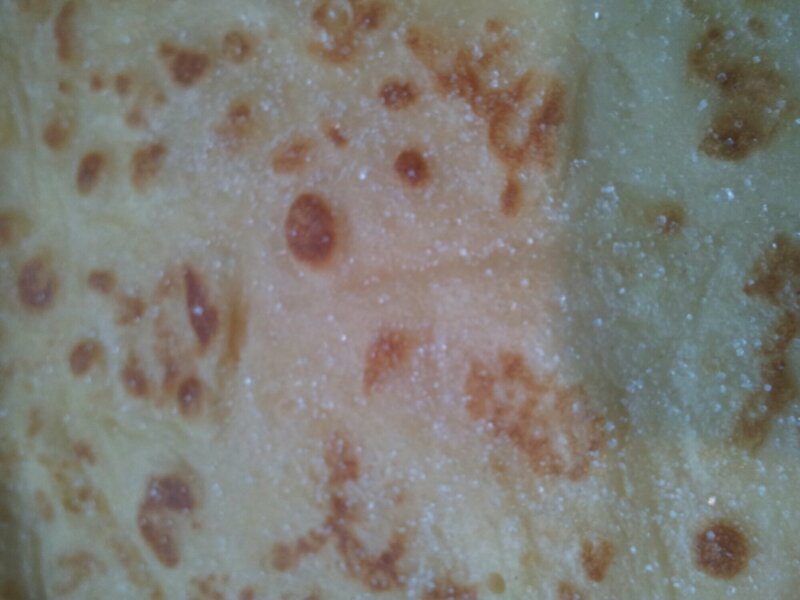 If you prefer traditional crepe like pancakes then check out last year’s post for traditional pancakes. 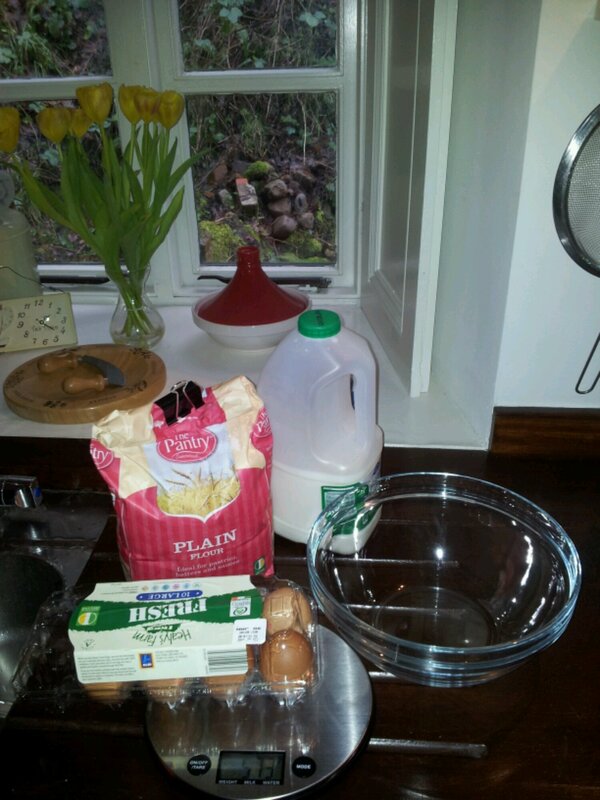 Happy Flour, Egg & Milk Day! Oops, don’t forget the pinch of salt! Don’t worry, I haven’t gone bonkers(!) it’s Pancake day here in Ireland. Or for those of you that prefer the term Shrove Tuesday, which comes the day before Ash Wednesday in the Christian calendar. 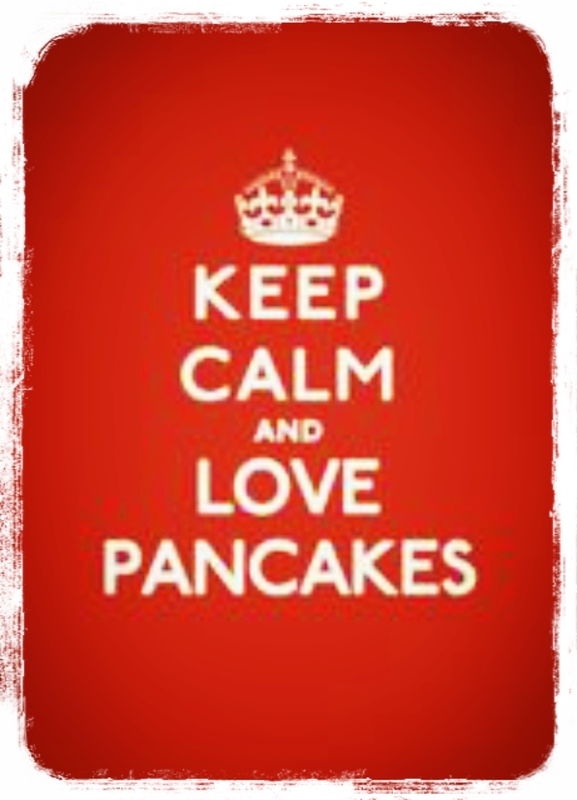 Pancakes are fantastic on any day of the year, for breakfast, lunch or dinner. 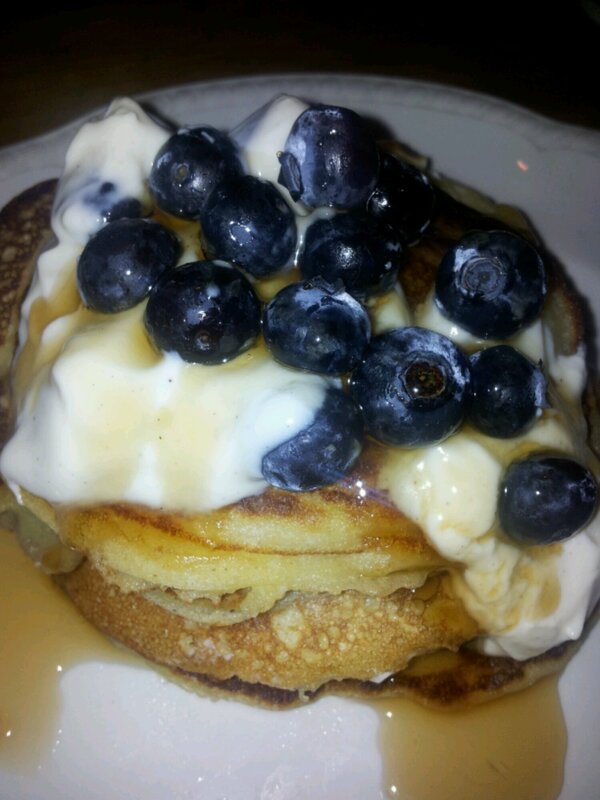 So if you’re looking for Nigella style pancakes then have a look at my post American pancakes with blueberries and maple syrup, if you want traditional ones then read on! Sieve the flour and salt into a bowl. 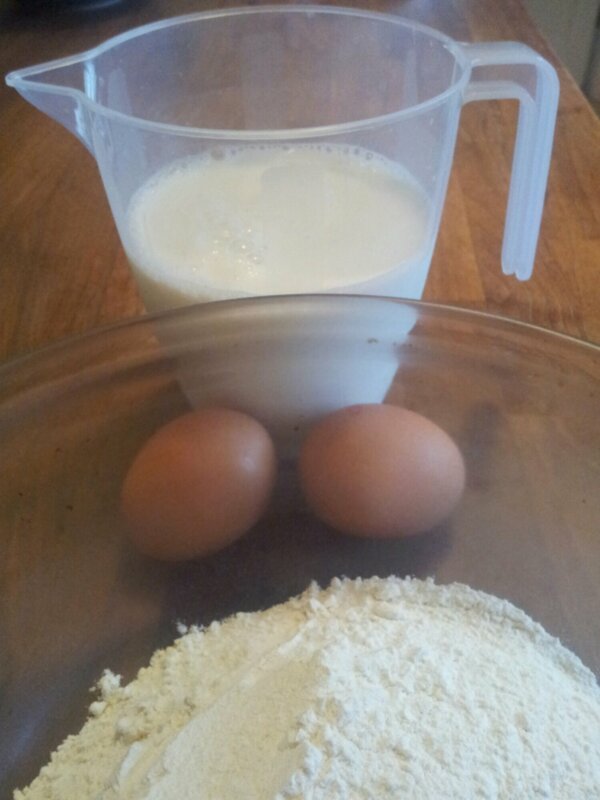 Make a well into the centre of the flour, break in the eggs and mix. 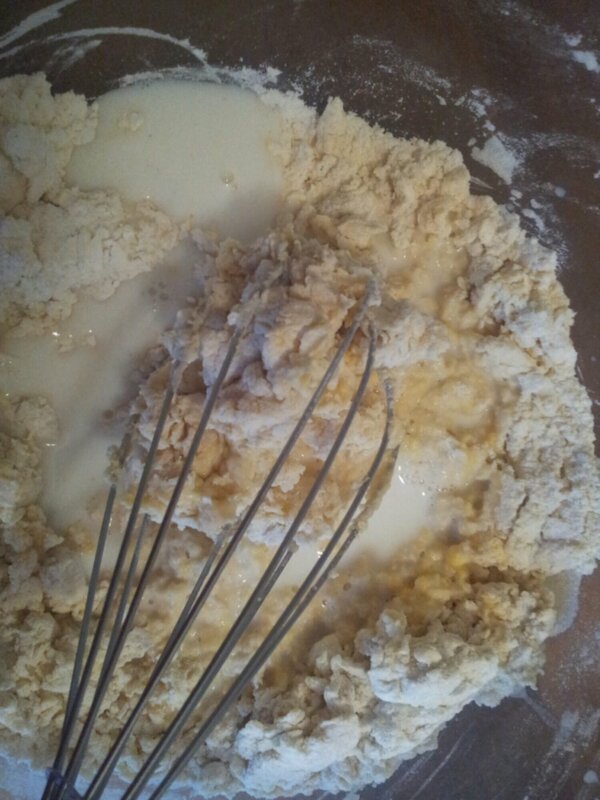 Gradually whisk in the milk until you have smooth batter. Pour into a jug and leave to stand for about 30 minutes. 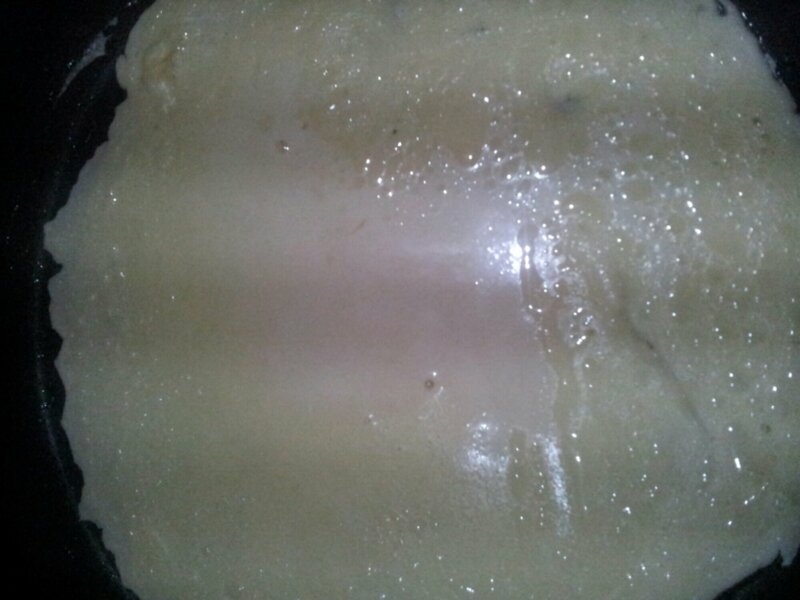 Pop a knob of butter and a little oil into a hot pan and then pour in a thin layer of the mix. Fry until the top starts to blister and then flip over and wait for that side to turn golden brown. After that it’s up to you! 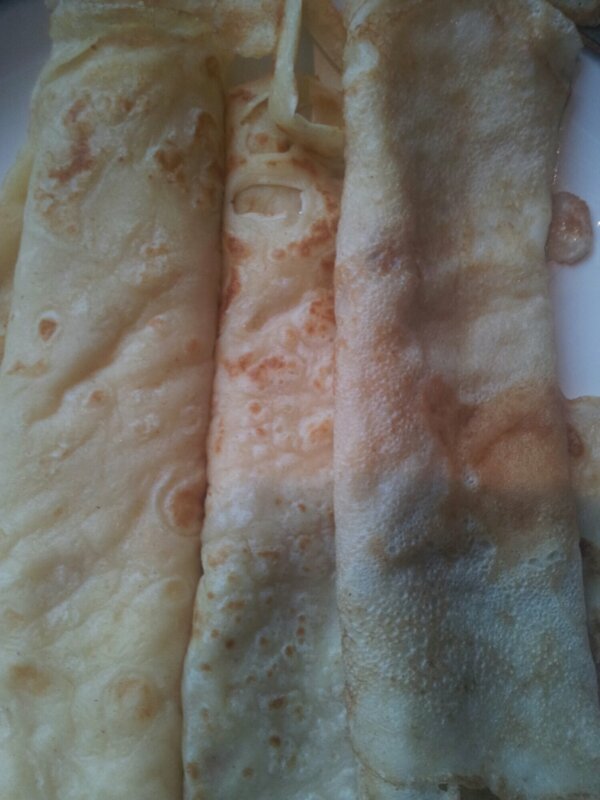 These traditional pancakes were served with lemon and sugar. Now that you’ve seen the two different recipes, it’s decision time… What would you prefer? Do you want traditional pancakes? You decide! Let me know how you get on….. 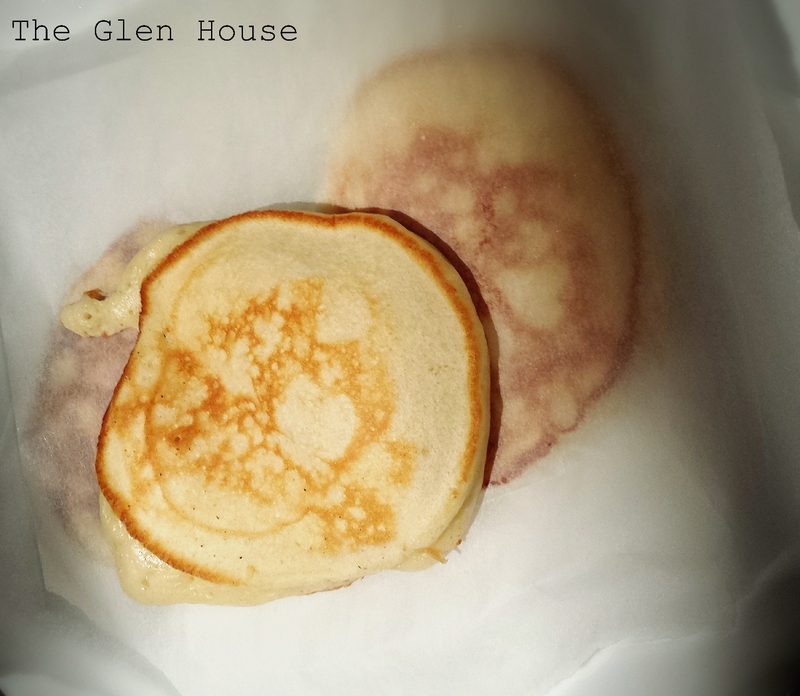 I used to make breakfast pancakes all the time on my days off before I moved into The Glen House. Then it all stopped…. But inspired by everyone else blogging about them over the last few weeks, I just had to find it within me to give it a bash. Elaine’s Foodbod Pancakes and Dimple’s Shivaay Delights Cocoa Pancakes looked so yummmmy. Drum roll please……. 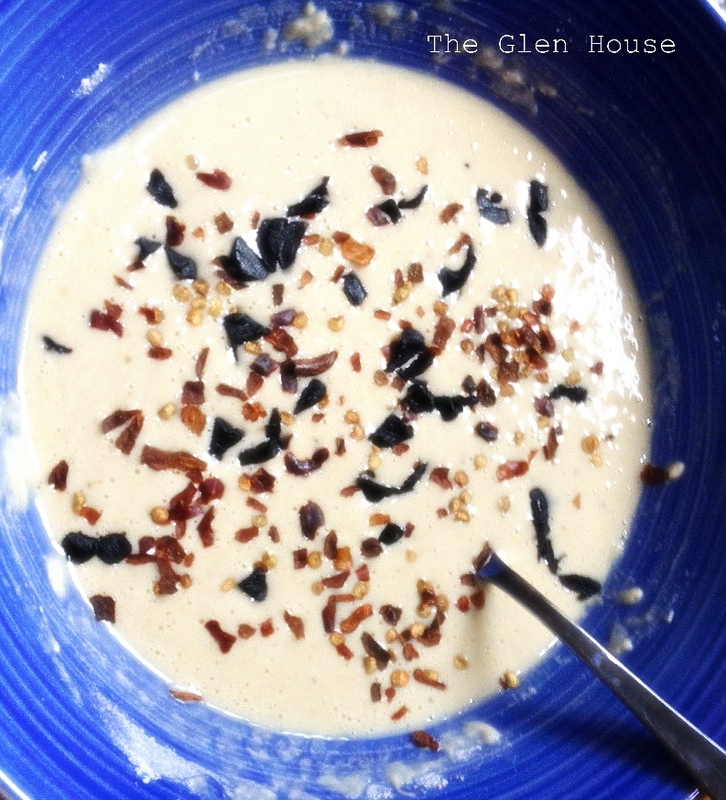 may I present the first pancakes in The Glen House (using Nigella’s recipe for yummy spongy American style pancakes, just like the old days)…. Place the flour, baking powder, salt and sugar into a bowl and make a well in the middle. Beat in the eggs, melted butter and milk, and transfer to a jug: it’s much easier to pour the batter into the pan from a jug! Leave it alone for as long as you can, I can never manage more than about 15 minutes. Melt a little butter in a pan, then pour or (or dollop) the mix in. I find small fist size pancakes are more manageable because these are thicker. Once they start to bubble on top, turn them. 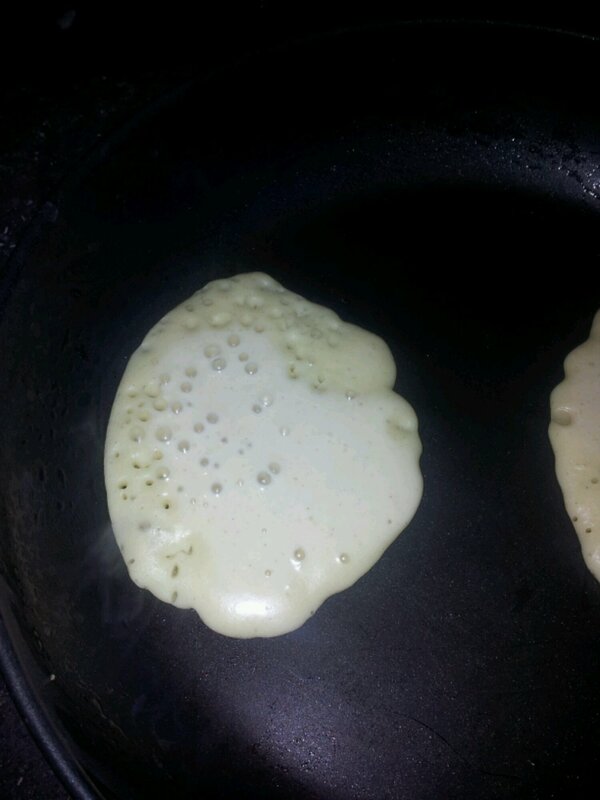 My Mother always taught me to use grease proof paper in between pancakes whilst they are staying warm…. And it works! 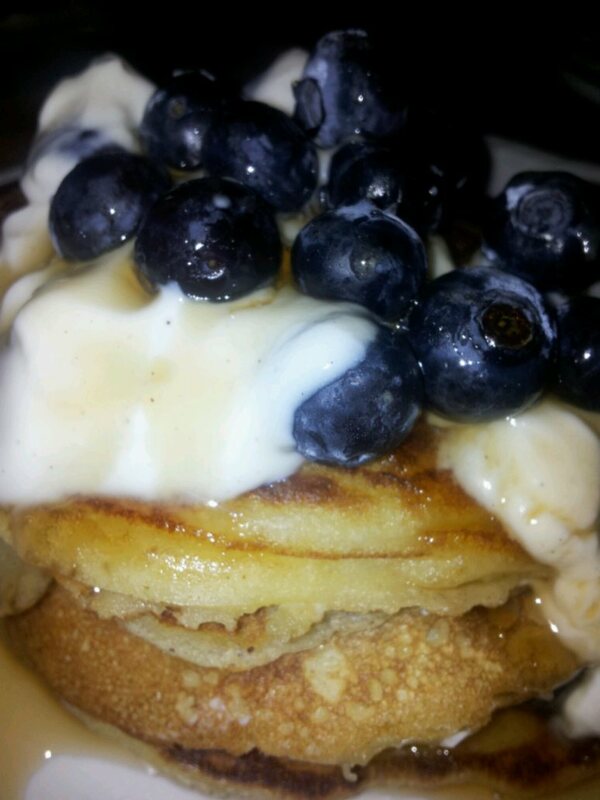 I topped them off with blueberries, vanilla yogurt and maple syrup!